Hey Satoru Iwata, president of Nintendo, how's the Wii U selling? Good? Great? Awesome? Fantastic? "At the end of the Christmas season, it wasn't as though stores in the U.S. had no Wii U left in stock, as it was when Wii was first sold in that popular boom," Iwata told Reuters. "But sales are not bad, and I feel it's selling steadily." Not bad! Could be worse! No complaints! Interestingly, Iwata also talked about the difficulty of selling two different models of Nintendo's new console at the same time. The basic model is $300, with an 8 GB hard drive and a white finish. The $350 premium model is black, and comes with a 32 GB hard drive and a copy of Nintendo Land. The basic package, Reuters reports, has been stuck on store shelves, while the premium Wii U is sold out all over the place. 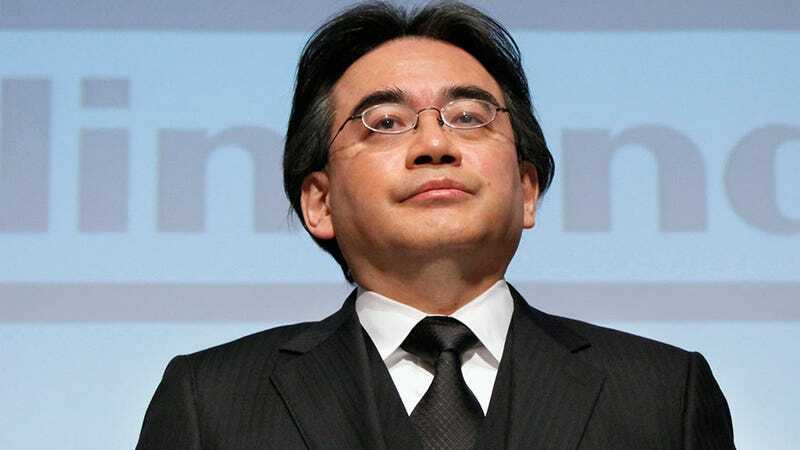 "It was the first time Nintendo released two models of the game console at the same time ... and I believe there was a challenge with balancing this," Iwata said. "Specifically, inventory levels for the premium, deluxe package was unbalanced as many people wanted that version and couldn't find it."